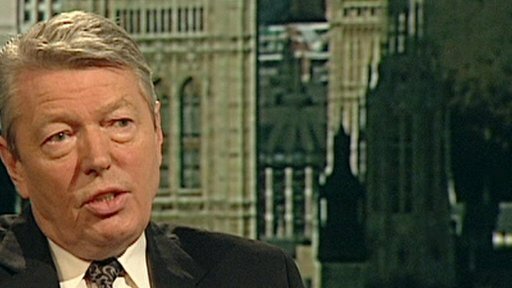 Swine flu in the UK is being confined, contained and treated effectively, Health Secretary Alan Johnson has said. However Mr Johnson said it was likely there would still be more cases and there was the possibility of a second wave in the autumn or winter. The advice was followed by news that the number of confirmed cases of swine flu in the UK has risen to 18. Health officials are trying to trace those on the same flight as a Scottish man diagnosed with swine flu on Sunday. The man, from Ayrshire - Scotland's fourth confirmed case - flew from Birmingham International to Glasgow Airport on Thursday. He is thought to have picked up the virus while in Texas, but the authorities said no other flights were affected. Health Protection Scotland is asking all those on board flight BE7096 on 30 April to call NHS 24, although it stressed they were at a low risk of infection. Two further cases confirmed on Sunday were of school age and from the London area, said the Department of Health (DoH). The DoH also said one of the children, an 11-year-old child in Wandsworth, had recently returned from the United States, and the other, a 14-year-old child from Barnet, had close contact with someone who had recently visited Mexico. Classrooms for seniors at South Hampstead High School, attended by the child in Barnet who is in year nine, were being closed for seven days, but the school attended by the other child was not, the department added. These latest cases come as health chiefs await the results of more than 700 further tests. Meanwhile, the Mexican health minister Jose Angel Cordova has said the outbreak of swine flu with an epicentre in Mexico has peaked in that country. He said the virus appeared to have peaked there between 23-28 April. Earlier on Sunday Mr Johnson told the BBC's Andrew Marr show: "The message is, have a good bank holiday weekend - relax, keep calm and carry on." But he added: "So far - because we've managed to get to people to isolate it, we've got the stock of anti-virals for them and their families and the people they have met - I think it's contained. "There will be more cases... [it] will go up, there's absolutely no doubt of that, but at the moment all the evidence is we can confine it, contain it and treat it effectively. "It's the advice that comes from the Second World War once again - 'catch it, bin it, kill it' - it's good personal hygiene." And Mr Johnson said that although the virus was being dealt with effectively, it had not been fully understood. "This is a new virus, it's never been seen before. People talk about Sars and bird flu, and that was never the subject of a WHO alert, and we are now at stage five of an alert. "Our evidence from all previous pandemics is you get two phases. So you get a first wave which is often very mild and then you get a much more serious wave that comes along in the autumn and the winter. "So we have to not just deal with this outbreak now but prepare perhaps for a second phase further down the line." The view that an initial, often mild, outbreak can be followed by a much more serious wave in the winter, was endorsed by Professor John Oxford, a virologist at Queen Mary's School of Medicine in London. Prof Oxford told the BBC: "I think this virus could smoulder around, particularly in children and schools for example, over the next few weeks. "Then we would be over a little hump, and then we would start to see odd cases up until Christmas, then I think the crucial time comes - is it going to become something big?" The two new cases confirmed in the UK on Saturday were both in England, involving an adult in Merseyside - the husband of a woman already diagnosed - and a six-year-old girl in Oxfordshire. The Health Protection Agency (HPA) said both new cases had visited Mexico. The Merseyside couple were being treated at home and were "quite well", they added. The HPA also said the girl had not exhibited symptoms while attending school, meaning school closure was not necessary. The increase in confirmed numbers came after news of the first two cases of Britons falling ill without having travelled to Mexico. Barry Greatorex, 43, from South Gloucestershire, had been in contact with a traveller to the country. And Graeme Pacitti of Falkirk was infected through contact with the first British people to develop the flu. It has also emerged that one of the first two people to be diagnosed with swine flu in the UK had attended a rock concert days before he was diagnosed. Iain Askham, from Polmont near Falkirk, was among the crowd at the 1,500-capacity Picture House to see rock band Doves on 23 April, two days after he returned from his honeymoon in Mexico. The Scottish government said this would not be classed as "close contact". And the Health Protection Agency said the two cases of people who fell ill without having travelled to Mexico did "not yet represent sustained human-to-human transmission". "All patients had contact with individuals who had reported illness and travel history to Mexico." The HPA said all those in the UK who have contracted the disease appear to be suffering mild symptoms. In cases outside Mexico - where officials have revised the number of suspected deaths from 176 to 101 - the effects do not appear to be severe, although the death of a Mexican child has been confirmed in the US. Information leaflets about how to reduce the chances of spreading infection are due to begin arriving in people's homes from next Tuesday. The only destination the government is telling travellers to avoid as a result of the outbreak is Mexico. Members of the public can call 0800 1513513 for recorded information about swine flu. The number for NHS 24 in Scotland is 08454 24 24 24.